If you’re doing local search optimization and want to know a bit more about it, Moz’s local search ranking factors research piece is always a good one to read. It’s been updated for 2015 and should give you a ton of info. There were some changes in local search this week too, with Google returning the phone numbers & addresses to the local pack and Google testing a simple “claim this business” link in maps for unclaimed listings. Those “Top Hits” aren’t coming from Google, but from Apple Search. That’s quite the change as it means that Google will now miss out on many, many brand searches. This can have a significant impact both on PPC campaigns and on organic search clicks. This might then have an impact on how the value of both is perceived. Your right to be forgotten, the right for you to tell Google it shouldn’t show specific links when searching for your name, is now a global right. This happened because of a court case Google lost in France, which is only the next court case in a series of court cases that Google seems to be losing throughout Europe. 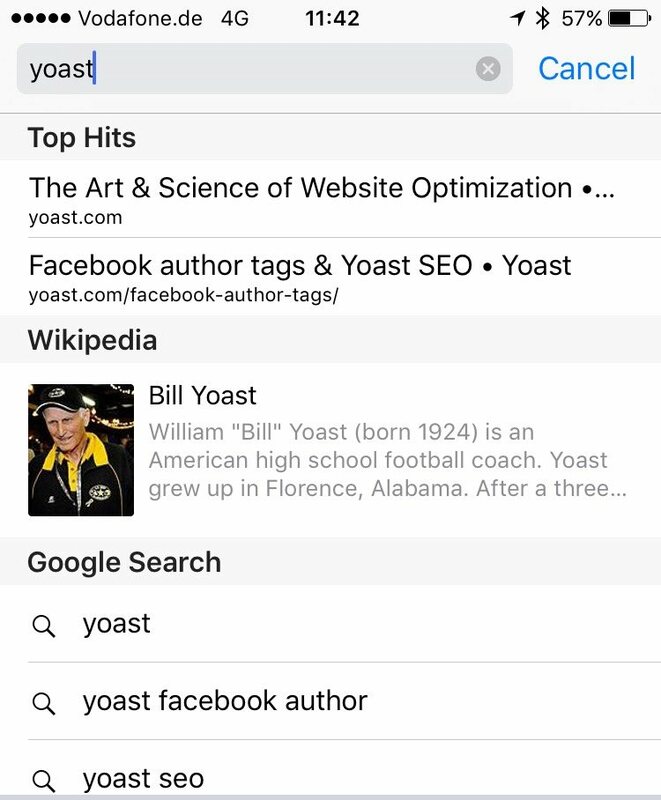 This post first appeared as Weekly SEO Recap: local and iOS9 search on Yoast. Whoopity Doo! Ask Yoast: how to handle blog posts that will expire?